The day five forecast was for light to moderate westerly winds at around 10 to 15 knots. The day was brilliant sun with partial cloud. As crews prepared their boats on the startline for race 7, the wind was abating from around 15 to 18 knots. Day three was looking to be one for the heavy crews, a southerly at 15 to 20 knots was forecast and was building throughout the afternoon. 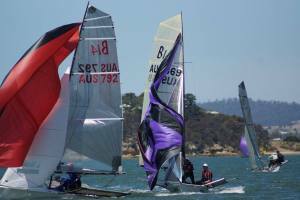 Warm conditions and a cool southerly made for a top days racing on flat water allowing for fast and close racing. 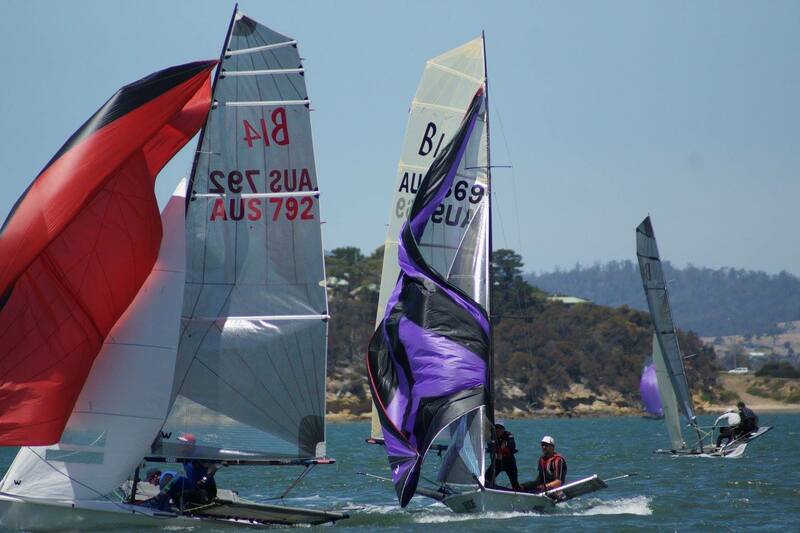 Day 2 of the Australian B14 National championships got underway in a shifty, North Easterly breeze of about 8 to 10 knots. Whilst the breeze settled in from Northerly to North Easterly the fleet settled in by checking the course out in the new wind direction.